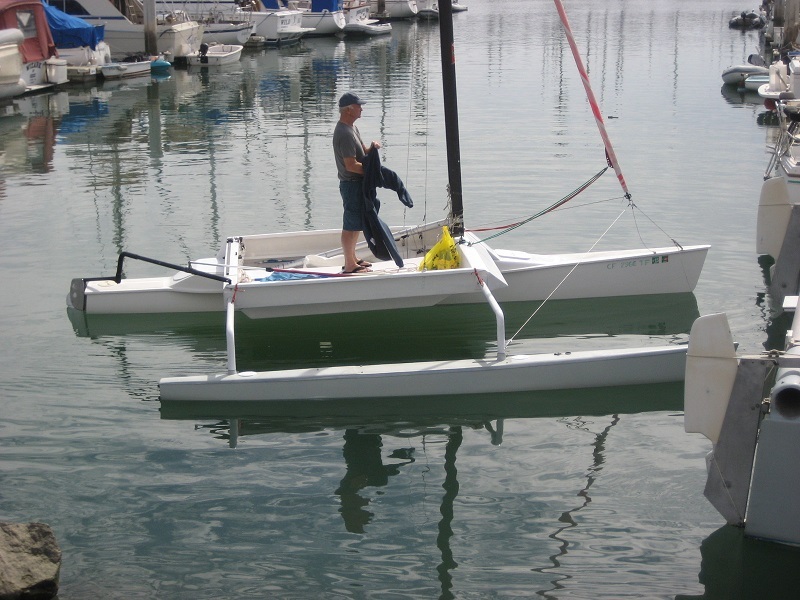 Tipnol is a personal boat built by John Slattebo of hydrovisions boat builders. 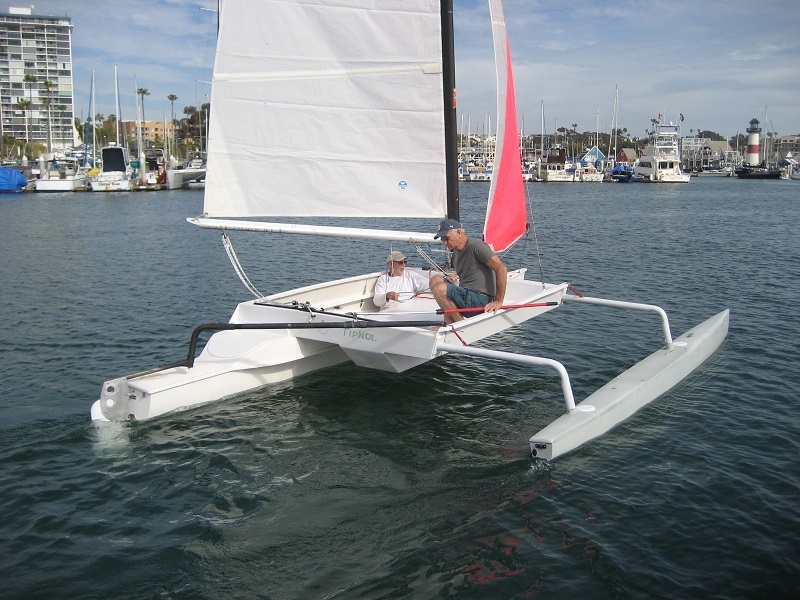 John has previosly built the Raptor 16 and Slatts 22 tacking outriggers. 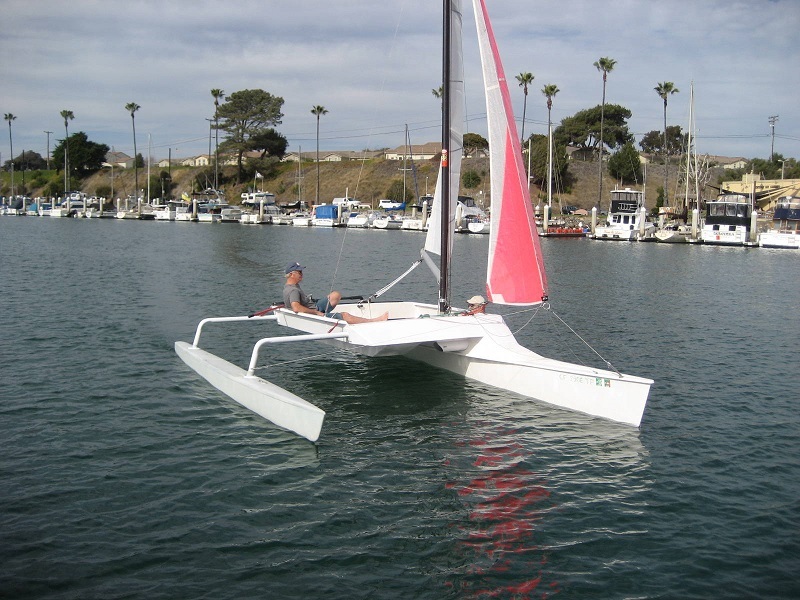 Tipnol is a 22ft craft built with the main hull of a Slatts 22 boat. The ama is 16.6ft long and weighs 40 pounds. Construction is foam sandwich. Trailering beam is 8ft. The ama slides inwards so that trailering beam and sailing beam are deifferent. The supports for the ama are bent metal tubes from exhaust pipes.